Following the 1789 Treaty of Paris, the men of the Company were called upon once again to serve in the War of 1812 as the Pawtuxet Artillery Company. The fort at Pawtuxet Neck was resurrected and the Company went on duty again. The Company petitioned the General Assembly to change the name to the Pawtuxet Artillery Company. 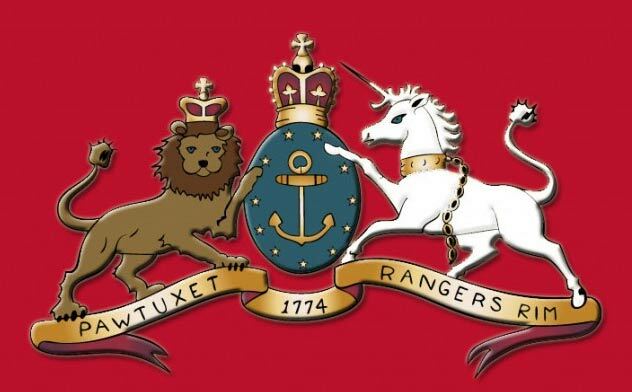 In June of 1812, “An Act to alter the name of the Independent Company in the towns of Warwick and Cranston, called the Pawtuxet Rangers and to continue the same as an Artillery Company. At the request of said Company, be it enacted by the General Assembly and by the authority thereof it is enacted, That the said Company be and the same hereby is constituted an artillery company by the name of the Pawtuxet Artillery Company…”. Col. William Rhodes commanded the Pawtuxet Rangers but had retired when the organization was incorporated in 1812 as the Pawtuxet Artillery. In 1814, during the second war with England, the company appointed a committee to inform him of “the unanimous desire of the members of the Corps that he should resume the Command of the same, particularly at the present critical juncture.”. The committee reported “that Col. William Rhodes had assented to become a member of the corps on the condition of not being fineable for absence when the Company meet for exercising.”. In 1841-1842, The Dorr Rebellion occurred in Rhode Island. Thomas Dorr led an armed insurrection against the state for changes to the electoral system. The Pawtuxet Artillery was ready for duty to assist the Law & Order Party. PAWTUXET – A band of about 40 men was organized on the insurgent side some weeks ago, and five days since they succeeded on getting muskets for the whole. They have been very bold and have paraded the streets up to the proclaimation of martial law. Yesterday, several of them were arrested, and others fled in a boat across the Bay, where they pitched a tent on the Massachusetts side of the line. The Pawtuxet Artillery are ordered to remain there and are under arms. The streets of the village are strictly patrolled, and all suspicious persons examined. The Pawtuxet Artillery is at Pawtuxet, having been ordered to remain there in consequence of the mischievous disposition by the insurgents in the village. PAWTUXET – A barn was set on fire at Pawtuxet yesterday afternoon, and destroyed. There was immediately after the Artillery Company had been dismissed. An express arrived for three hundred ball cartridges, where were immediately sent out, and the company will exercise a vigilant guard on the village. The hay-stack of Richard Thornton, near Pawtuxet, was set on fire last Friday night, but its destruction was prevented by timely discovery have been searched in Pawtuxet , and a few muskets have been taken. On July 24-25 of 1842, the Company marched to Providence in order to be ready for service to the state. After arriving, they received orders to return to Pawtuxet where they maintained two artillery pieces throughout the rebellion. One of the pieces being “accidently” fired at some Dorrite clam diggers in Narragansett Bay. The General Assembly of the State of Rhode Island was pleased with the assistance of the Pawtuxet Artillery in remaining loyal to the Law & Order party during the Dorr Rebellion. This, coupled with the fact that the Company’s cannons were attempted to be stolen caused the General Assembly to appropriate money ($800) for the building of a small armory on the corner of Remington and Bank Streets on the Warwick side in the village of Pawtuxet. The armory was built in 1843 by Irish immigrants as a one-floor building. It was constructed of stone and coated with smooth stucco to resemble large stone blocks. It was used as an armory (drill floor, artillery storage) and meeting hall for the militia until 1847, at which time the Company’s last report was made to the State. The armory was sold in 1849 and used for a time as a local volunteer firehouse. 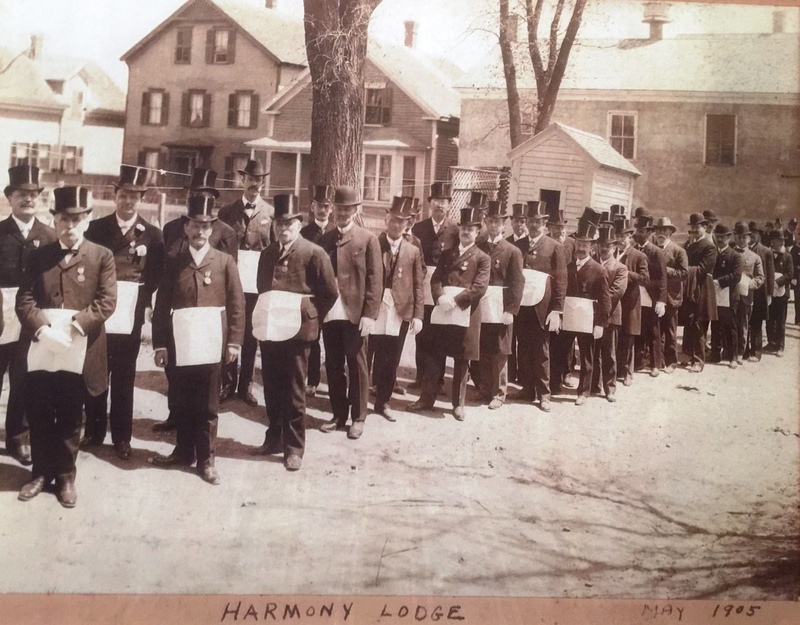 In 1853, it was sold for $105 to the Harmony Lodge and it became a Masonic Hall and a second floor and attic were added for their lodge. The Masons sold the structure in 1906 and it became a private residence on two occasions.